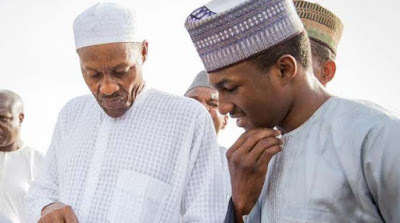 The health of Yusuf, son of President Muhammadu Buhari, who was admitted into Cedarcrest Hospital, Abuja, on December 26, 2017, following injuries sustained in a motorcycle accident, has improved remarkably and he is ready to be discharged. This news was contained in a statement Friday by presidential spokesperson, Femi Adesina. Mr. Adesina quoted another statement by the medical director of the hospital, Felix Ogedegbe, reproduced below; “Mr. Yusuf Muhammadu Buhari, son of His Excellency President Buhari, was admitted into Cedarcrest Hospitals Abuja in the late hours of the 26th of December 2017, following injuries sustained as a rider of a motorcycle. Following initial stabilization, he was taken into intensive care. He underwent successful emergency surgical operations the following morning carried out by our team of neurosurgeons and orthopaedic surgeons. “Over the following week, his condition improved remarkably and he was transferred from intensive care to the ward. He has remained stable ever since and has continued to make remarkable progress. He is now ready to be discharged. “His extremely speedy response to treatment so far is testimony to the world-class early care he has received here in Cedarcrest, Abuja. We are grateful to His Excellency, President Buhari and Her Excellency the First Lady Mrs. Aisha Buhari for the confidence in us and for allowing us to look after Yusuf. This show of confidence goes a long way to strengthen our collective belief in our resolve to offer world-class health care locally. We are extremely grateful to our entire hospital team for their dedication and hard work during this period. “We are also grateful to the Honorable Minister of Health, the Honorable Minister of State for Health, and the eminent advisory team of specialists assembled by the Honorable Minister of Health who supported us in the course of looking after Yusuf. We are grateful to all Nigerians who prayed for Yusuf, his family and his carers. His response to treatment so far is clear testimony to answered prayers. “We did note some very misleading reports about this incident making the rounds in some social media outlets. Most of them would not ordinarily need to be responded to. Suffice to say that there was only one person involved in this incident. No one else required treatment for this incident or its aftermath. Yusuf’s friend was not involved in the accident and did not sustain any injuries whatsoever.